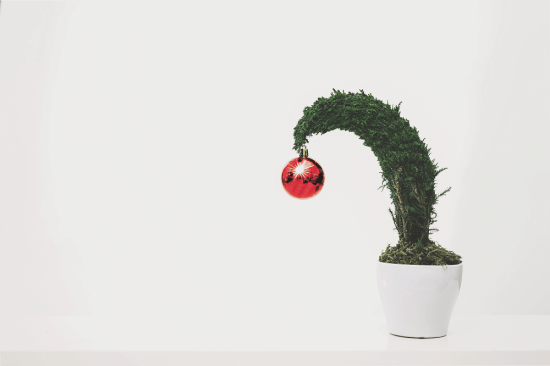 If you don’t want to cancel Christmas, but the thought of all the excess wrapping, plastic decorations, gifts that end up in the charity shop within weeks of Christmas day and fighting all the food waste fills you with dread, today’s post is for you. Because it is possible to have a low waste Christmas, I promise. That said, I’m not the best person to talk about Christmas. 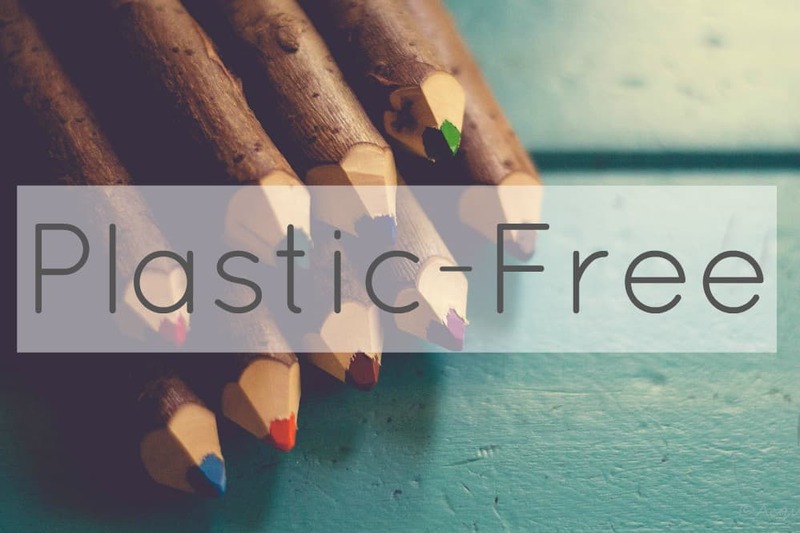 Because I probably would just cancel it ;) So today’s post is a collaborative effort brought to you by the recent participants of my recent WASTEless course. Together we brainstormed ideas for how to have a low waste Christmas. Okay, so I will be the first to admit – I pretty much am the Christmas grinch. I don’t do decorations, I don’t do gifts, I don’t do Christmassy foods, and I’m happy with these choices. I like my so-low-key-you-wouldn’t-actually-know-it-was-Christmas approach. But I realise that it’s not for everyone. If Christmas is your thing, but not putting too much stuff in the bin is also your thing, there are plenty of solutions. 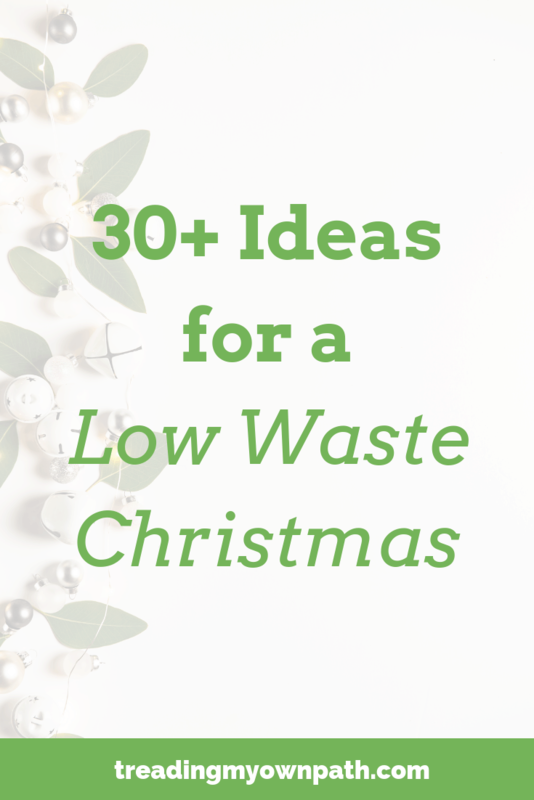 Here’s the result of 20+ people putting their heads together to come up with ideas for a low waste Christmas. 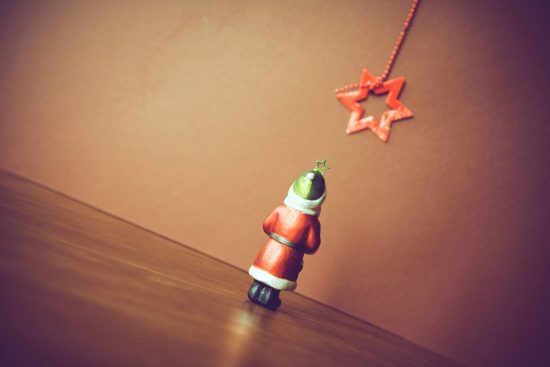 Reusable Decorations: avoid anything with this year stamped across it, because less than a week later we flip over to a new year, and those decorations are instantly worthless. Whilst most of us intend to use decorations again and again, that doesn’t always happen. If buying new, pay attention to what they are made of, and avoid anything that looks like it will break easily. Think about how you’ll store them between Christmases, because 11 months haphazardly chucked into a box and shoved to the back of a cupboard might not do them any favours. Storing in lidded containers (old plastic containers, or storage tins) will keep dust out and help protect things. If choosing fabric, consider if it is machine-washable. Fabric bunting or cotton hanging decorations can be cleaned easily, whereas felt and faux fur is harder to clean. Solar lights: if you want to light the place up, solar lights might be an option. Candles (beeswax or soy rather than paraffin) add a Christmassy glow to things and are a more natural alternative. A Real Tree in a Pot: a real tree in a pot can (in theory) be used again and again each Christmas. For the most sustainable option, don’t restrict yourself to the “standard” pine Christmas tree, look at what is suitable for growing in pots, and what is suited to your local climate. Different pine trees will suit different conditions. If pine trees don’t really grow where you are, consider a different type of plant altogether. You can hang baubles off of any tree with branches. Figs, yuccas, whatever you have and suits where you live. Driftwood / Pallet Tree: if you’re creative, you can make a tree out of driftwood or other materials. For a slightly less labour-intensive approach, paint a tree onto a surface (e.g. a wooden pallet). Pinterest has heaps of ideas. Decorating the Furniture: instead of having a tree, use your furniture to make a shrine to Christmas, and decorate that instead. Sticks, flowers, cones and leaves: natural decorations are plastic-free and biodegradable, and the more local the better. If you can forage your own, excellent; alternatively go to a florist and find out what is in season where you live. Just Enough: Probably the biggest challenge at Christmas, when we want to have extras and be prepared for unexpected visitors. Meal planning can help with this. 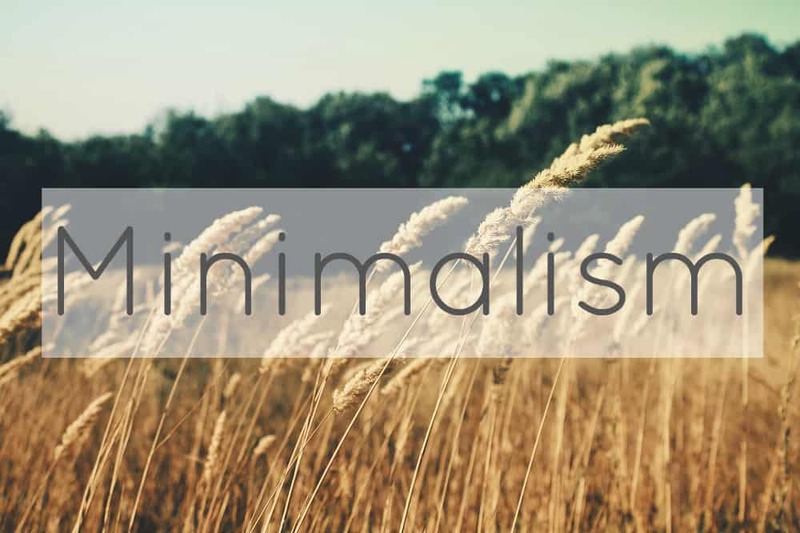 Be realistic about how much people will eat. Also, try to choose dishes that will keep well as leftovers if there ends up being too much. Leafy salads and BBQ prawns won’t keep past a day, however a dish of roasted veggies or a grain-based salad will last a few days. Pavlova won’t keep more than a couple of days, whereas Christmas cake will literally last for months. Mix up your dishes so you don’t have a race against time to consume it all in 48 hours. 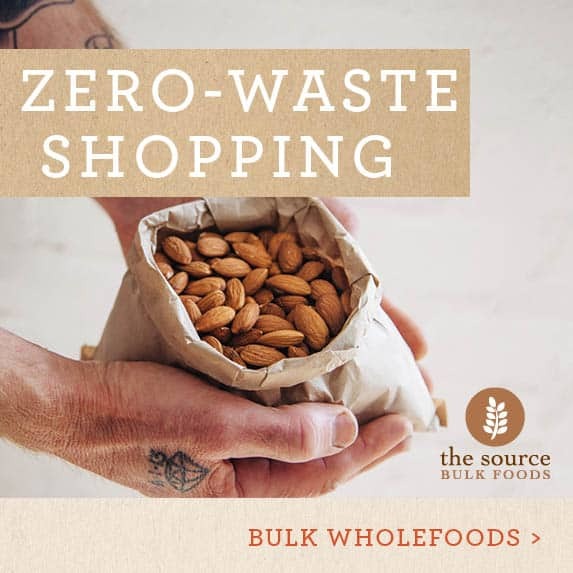 Buy from Bulk Stores: if bulk stores are an option for you, embrace them! As well as general groceries, bulk stores sell plenty of snack foods that usually come overpackaged in plastic. Bring glass jars or old Tupperware, and fill up, packaging free. Make It Yourself: foods made from scratch don’t come in plastic. Plenty of food can be made in advance so there’s no need to end up overwhelmed and panicked with no food ready on Christmas eve. Christmas cakes and puddings can be made a good month in advance, and some foods (sausage rolls, pastries and even veg dishes like braised cabbage) can be made in advance and frozen. 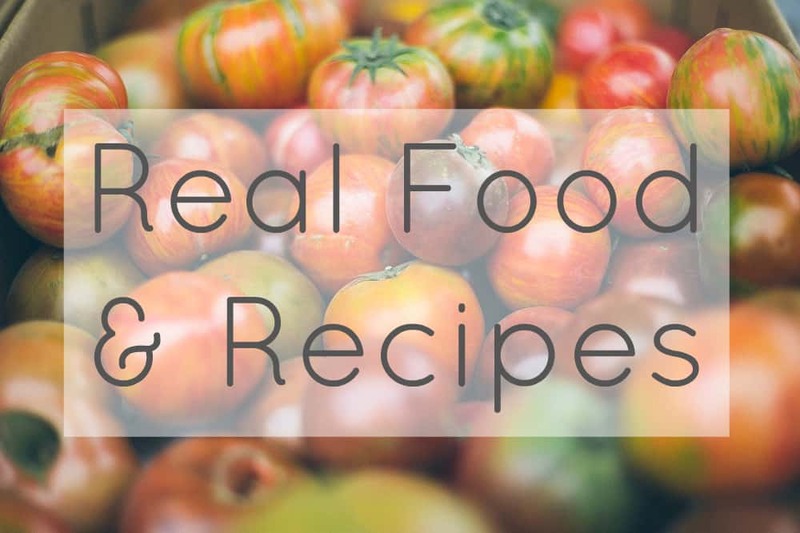 Decide what kinds of foods you’d like to have, then take some time to look up how easy they are to make, and decide what will work with your timeframe and energy levels. Making one thing is better than making no things! Reusable Containers: if you’re going to be cooking up a storm on Christmas day, or you like to pre-prepare lots of food so you can avoid cooking for the rest of the week, reusable containers are a must. Most things keep better (and last longer) in sealed containers. 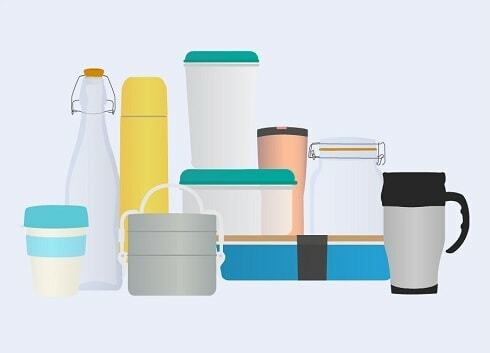 Make sure you’ve got plenty of glass jars, Pyrex, yoghurt pots, Tupperware, or whatever you storage vessel of choice is. Use Leftovers: have a plan for your leftovers. Think of meals that could use up excess (e.g. risotto for meat, patties with leftover veg). Ensure you use up the stuff that will go off first, and then use up the things that will happily sit in the fridge for a few more days. Worst case, if making meal plans overwhelms you, commit to freezing your leftovers and make a plan once they are safely frozen. Freeze leftovers: lots more things can be frozen than people realise. Cheese, dips such as hummus, roasted veggies, cooked meat, cake – all common Christmas leftovers – can all be frozen. Freeze what you can and eat up what cannot be frozen first. With frozen foods, it can help to label and date the items you freeze, and put a reminder in the calendar to check in and make a plan to use it up once the holiday period is over. 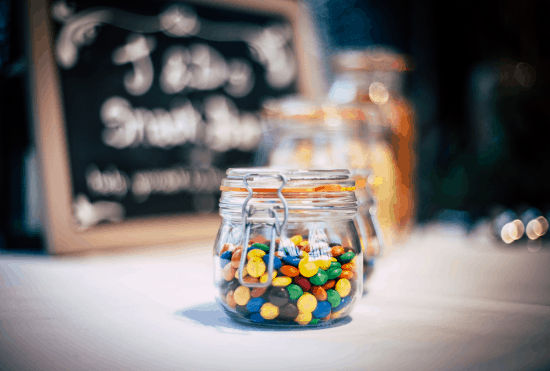 Avoid Individually Wrapped Foods: if you do decide to go down the packaged route, try to choose items with less packaging and avoid things that are individually wrapped or completely overpackaged. They will cost you more and fill your bin with waste! Last Year’s Gift Bags / Paper: if you had the foresight to save last year’s gift bags and paper, use these this year. It’s always worth pulling all the Christmas stuff out of the cupbaords and seeing exactly what is there before going to buy new. If you use a lot of wrapping consider trying to salvage the best of this year’s packaging for use next year (assuming you have somewhere practical to store it). Tie with Ribbon / String (No Tape): if you want to avoid sticky tape, tie parcels with ribbon or string (both of which can be reused). Washi tape is a paper-based sticky tape alternative if tying is a bit too tricky to master. Decorate with Nature: to jazz up brown paper or newspaper parcels, use nature. Holly or pine cones work if these are seasonal where you are, cinnamon sticks look Christmassy and are easy to find at bulk stores, and rosemary is an easy find that looks (and smells) good. Newspaper: if you receive a newspaper at home or at work (or you know someone who does) then make use of this to wrap presents. Another alternative is Who Gives A Crap (or other brand) toilet paper wrappers. Brown Craft Paper: brown craft paper is a glitter-free, embellishment-free wrapping option that is much easier to recycle than many types of Christmas paper, and it can also be reused if unstuck carefully. 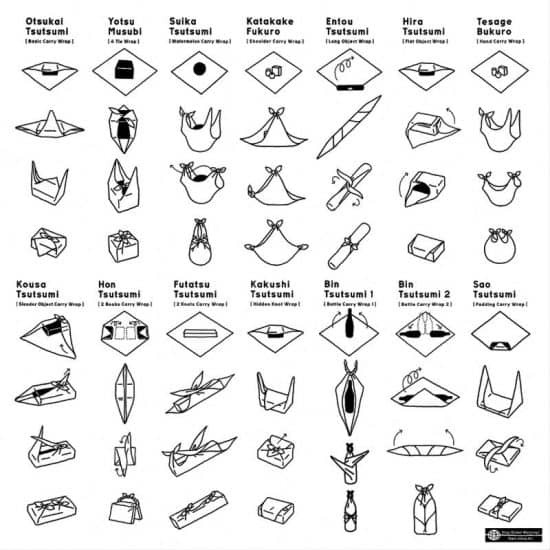 Furushiki: the Japanese art of wrapping items in cloth. The cloth can be scrap fabric, a scarf, a tea towel, or whatever it is you have. There are lots of great tutorials online. Nothing: does the present need to be wrapped at all? That depends on what it is, how it is packaged already and who it is for. There might be no need for further packaging. Thoughtful Gifts: the best gift is the one that the recipient will actually use. 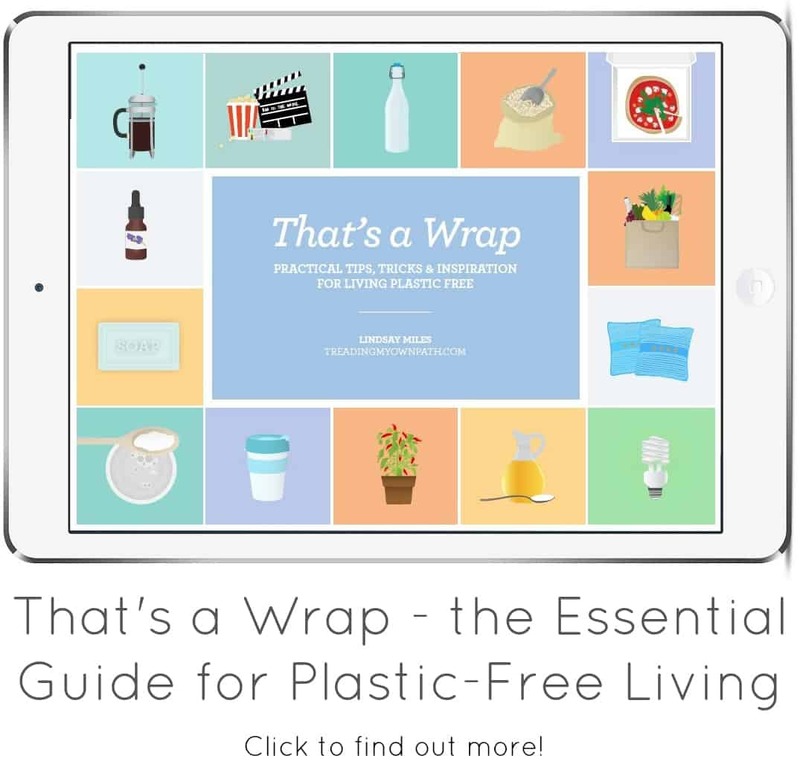 Buying ethical reusables just because that is what we like might not be appreciated by friends and family;, and presents that end up in the bin or sitting unused are not eco-friendly. Put some thought into what the recipient will actually use, want and like. Food Items (Purchased, Cooking or Baking): everyone eats, so food is a pretty safe bet for gifts. At its simplest, filling a jar of treats from the bulk store is a good gift. 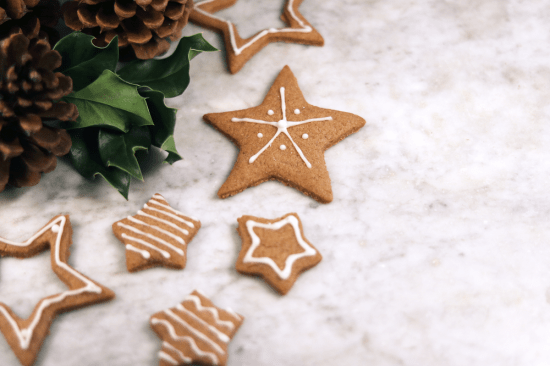 If cooking or baking is your thing, Christmas is a great time to get creative. Be mindful though of making items that need to be eaten immediately – Christmas is the time of year when everyone buys too much food, so adding extra food items with tiny shelf lives to another person’s pantry might not be the best idea. Choose things that will keep for at least a week, or tell people that you’ll be making dessert as their Christmas present in advance so they can plan around it. Alternatively make a “voucher” and say what you’ll make and when (e.g. a chocolate cake in the first week of January). Books: books are great Christmas gifts for people who love to read. It is often possible to find second-hand books in great condition. 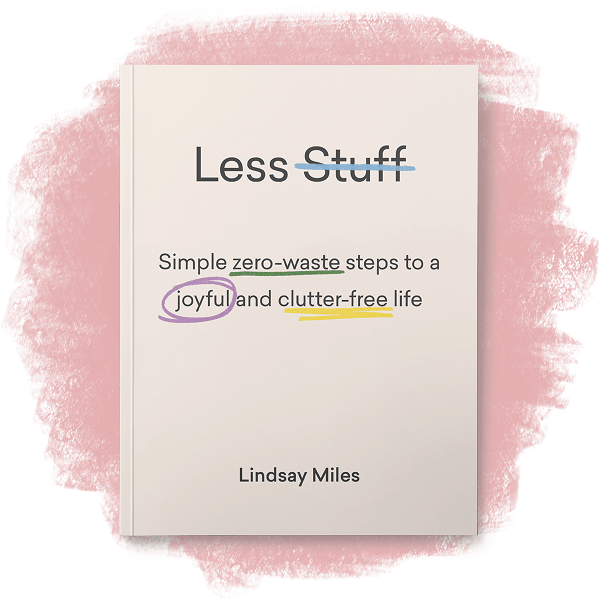 Second-Hand: second-hand is a much more zero waste option than buying new, and second-hand doesn’t have to mean old, tired or worn out. Whether it’s antique furniture, vintage jewellery or accessories, preloved clothing, refurbished electronics or simply something great you found in the charity shop, gifts do not need to be straight off the production line. 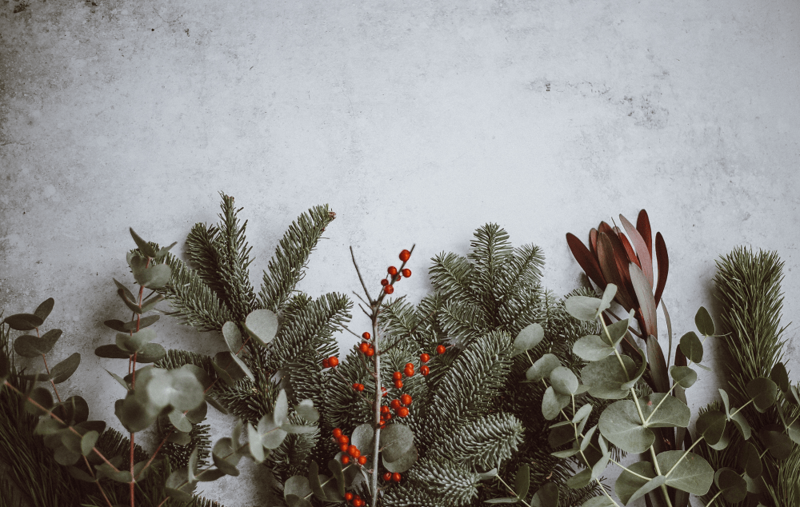 Plants and Terrariums: plants are another great Christmas git idea, whether it is house plants, veggie seedlings, filled planter boxes or fruit trees. Terrariums (a sealed glass container with plants inside) are an easy DIY with a glass jar and some plants. 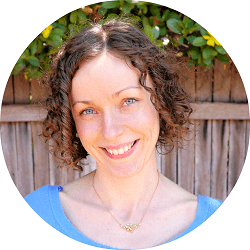 Experiences, Workshops and Memberships: I’m a big believer in experiences over stuff. Tickets to an event, a workshop, lesson or class, a show or performance all make great no-waste gifts. Membership to a theatre, zoo, fitness club or gallery, ditto. They don’t need to be formal either: something as simple as organising a picnic or dinner is fantastic way to spend more time with the people who are important to you. Charity Gift Cards and Donating to Charity: Charity gift cards are gifts that go to people in less economically developed countires, via the person you “gift” them to. You buy a goat for someone in Africa, and your gift recipient receives a card telling them this is what you’ve done. One of my course participants, Karen, told us that every year she buys (literally) a pile of poo for all her family and friends. It’s one of the gift card options offered by Oxfam. If novelty gifts appeal to you but waste definitely does not, this pretty much nails it. If you want to do away with the cards altogether, you can make a donation to charity in lieu of gifts, and tell everyone that is what you’ve done. 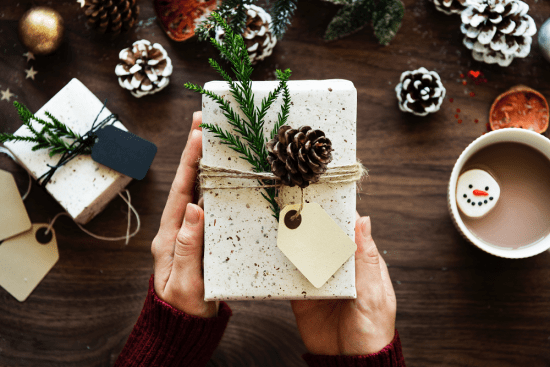 Secret Santa for Family Gifts: If the prospect of every family member getting a gift for every single other family member overwhelms you (and you can’t bear the thought of all the excess and waste), a Secret Santa can reduce the burden. Names are put into a hat, and each person gets one name – the person they buy the present for. Some people do this for adults only; other families with lots of nieces and nephews might choose to put families into the hat. The upside of this (aside from the reduced financial strain) is that if there is only one present to buy, it is much easier to put thought into it, and find something that is suitable and appreciated. Regifting – January (White Elephant Parties): One person’s trash is another person’s treasure. 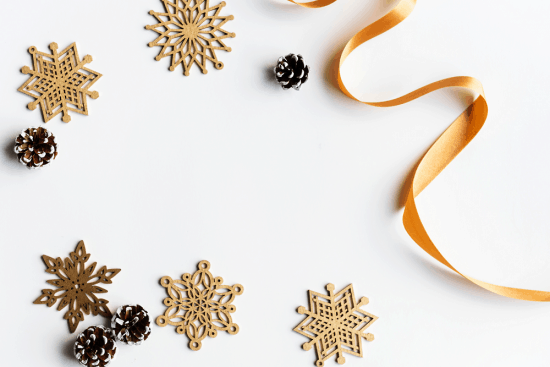 We all end up with stuff we’d prefer not to have, and an entertaining way to swap gifts with friends is to host a gift reswapping party – also called a White Elephant party. In short, everyone brings one gift which are placed in the centre of the room. The first person takes a gift, then the second person can either “steal” that gift, or take their own. It continues until everyone has a gift. I’ve never been to one, but friends have and it’s amazing how stuff gets swapped and exchanged with people who will actually use it. I think it is a much more effective idea than taking this stuff to the charity shop, which is what the other 7 billion people on the planet will be doing come Boxing Day – and no-one is buying novelty Christmas gift items in January. Now I’d love to hear from you! 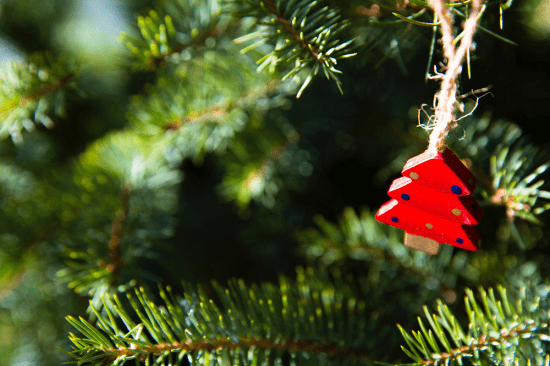 What are you planning to do to keep Christmas low waste? Do you have tried-and-tested things that work, or are you embracing some new ideas this year? How has your Christmas evolved over the years for the better? Please share your thoughts in the comments below! Another great post thank you Lindsay. 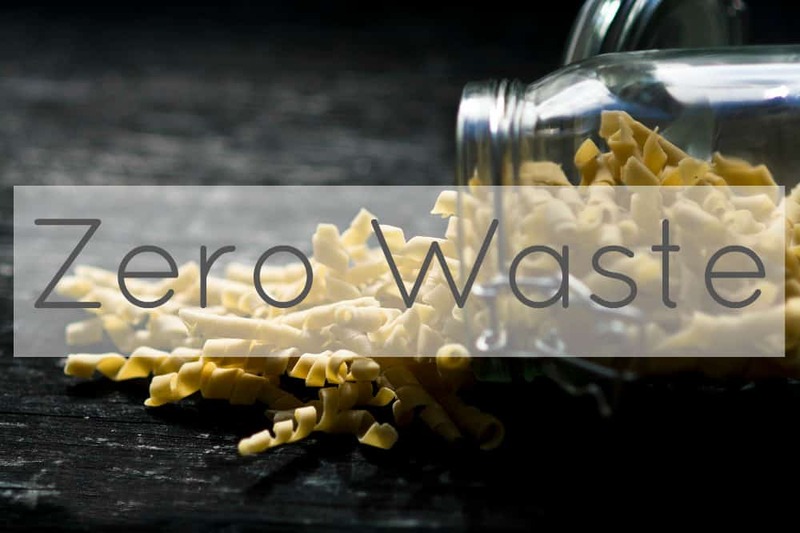 I look forward to reading them every week.I am just beginning my zero waste journey. Aw thank you Deb! ooh, how exciting – it’s a great path to be on, promise! I’ve been giving White elephant parties since 1995. Introduced it to my friends in AU when I moved here in 2000. They’re great fun. When guests come in they exchange their wrapped gift, for a number. Then #1 goes first. The best bit is that each gift can only be stolen twice–ie the 3rd owner is the last owner, and can’t be stolen ‘back’. (There’s quite a bit of strategy here, especially for couples) After everyone has chosen/stolen, #1 gets to exchange his/her gift with any of the ‘still available for stealing’ gifts. We have been using the same Christmas gift boxes and fabric bags for years when we’ve given gifts to my husband’s sister’s kids. The kids obviously don’t care much about the package even if it has a nice reindeer picture in it, so after Christmas my husband’s sister gives te boxes/bags back to us and we store them to use again next year. Fabric bags are great! I’ve been making a couple a year for the last couple of years (I have a sewing machine but can only sew straight lines).Top tip – Chrismassy fabrics are cheap after Christmas- buy then for next year or I buy randomly if i spot some in an op shop. We also use them and re-usable boxes for birthday presents. Like christmas decorations the fact that the sames ones reappear every year is part of the tradition. I’ve also found great re-usable fabric bags at church fairs- posh bed linen came in them originally. And tip for familes for advent instead of an advent calendar. I wrap up all the Christmas books (and dvds) we have- nativity stories and others. In newspaper or fabric wrap and one gets opened every day during advent. 12 year olds are thrilled to rediscover favourite picture books from when they were 3. We don’t have enough for every day…some years the kids re wrap them but mostly after the first week we forget to open one every day so 10-15 covers the whole period. I know other people have wrapped up non- Christmas books as well for littilies. There is a whole lot of careful discussion about which parcel to open and guessing which book in might be. Oh and if you’re running short on time you you only need to wrap a couple at the start and do the rest as you go along. Love it Tracy – make it once and use it much more than once! Thanks for the good ideas Georgina! Knowing how to sew is definitely an advantage at Christmas, I think! When I still used to buy paper and fabric and the like, I was a fan of choosing Christmassy colours (so red, gold or green, but probably not all three together!) but not necessarily Christmassy patterns (so stars would be okay, reindeer not so much) and asking myself – could I use this at Easter / wedding anniversaries / birthdays etc? I didn’t even think of advent calendars, but I do see more and more people making their own which is fun. I had a chocolate advent calendar almost since they were first invented in the UK (maybe when I was still in primary school) right up until I went plastic-free in 2012. Shudder, all the wrappers and plastic! I like the idea of wrapping things you have already! For a variety of reasons, my daughter and I have decided not to celebrate Christmas anymore. I saw the decorations in a store the other day and felt a sense of relief that I no longer have to worry about buying any of them or presents or extra food. As I said to my daughter, if we need something, we buy it throughout the year when we need it/can afford it. Buying stuff we don’t need at this time of year for a holiday we don’t celebrate is ridiculous. It is also a huge waste of money and causes me a lot of stress and anxiety that I don’t need. We don’t feel like we are being deprived of anything and are happy for others to celebrate as they wish. I feel that exact same sense of relief, Peta! For me it is easier because growing up in the UK I associate winter with Christmas, and because here in Perth it is summertime I don’t naturally think it is Christmas. It is only when I go to town that I see the window displays and realise that we are nearly in December! Bulk candy sounds great Tracy, and if there’s a plastic-wrapped traditional snowman, well…it is once a year! And there are worse things ;) Sounds like a good balance. My oldest daughter just asked if we still have our. Christmas stamps from when she was little – she’s 24- so she can decorate plain brown paper for gift wrap. I did still have them. I also reuse paper from year to year and cut out Christmas cards for gift tags. I do still love to celebrate Christmas but try to do it as eco friendly as possible with consumable gifts or experiences. That’s so cool Lori, passing stuff down the generations and it actually being used! Hurrah! We make a kids’ Countdown to Christmas chain out of scrap paper on the first day of Advent. On one side, I write an activity for each day of the month. This can be anything from the activities we traditionally do every year (decorate the Christmas tree, make and wrap gifts for family and visit the local arboretum’s holiday lights show) to “drink hot chocolate,” “watch a Christmas movie” (on DVD from the library), “hold a holiday music dance party after dinner,” “have a picnic under the Christmas tree,” etc. I work 12 hour days from Black Friday to Christmas Eve, so most of the the activities have to be something one parent can handle at home on a school night with minimum preparation and fuss. Love all of these ideas. For the past few years, I’ve been giving gift certificates to restaurants I know my recipient loves. It is a tad less personal, but I absolutely know they will use it, which makes ME feel good about the gift. To make it a bit more personal this year, I will get some bulk candies/chocolates to accompany the gift cards. I love that idea. Plus I have a bunch of extra jelly jars that need a purpose. Thanks for all the suggestions. My local thrift shop has a craft/wrapping section, so that might be a good place to find boxes or bags if the other eco-friendly wrapping options don’t work. At university I got fed up with the large pile of Christmas cards we all exchanged each year. Who was going to carry them home for the Christmas holiday? What was the point in displaying cards in an empty room if we didn’t take them home? I made a big batch of cookies instead, and took them round to my friends warm from the oven with an explanation that it was an edible alternative to a card. They seemed to go down fairly well. A few days later I saw one of those recipients handing out some fancy chocolates and explaining that this was his Christmas card. That made me feel good :) It’s the same sentiment, but with the potential for far less waste. Brilliant, brilliant post. I do a lot of this stuff but it’s always great to hear new ideas. Love the idea of a white elephant party! I do a strange Christmas too. If I find a dropped branch of evergreen I rescue it for home. A small twig goes a long way. There are a few ‘decorations’ that never get put away (so it seems) and some favourite cards saved over the years are dotted about. Some live permanently by my front door. As for gifts – don’t give many but for eg my grandkids are getting a set of glass straws (with brush), a bracelet that has helped take a pound of plastic waste from the ocean, a science book about sparrows, that sort of thing. I put this collection of odds and ends all in a fabric bag, unwrapped. They will probably get it sometime in February. I get an invite to Christmas dinner from a friend and always give her the same thing – scotch and cheese. Just remembered another thing I used to do when my son was still at home. I am pretty good at art and made this Santa card for Mark. Equally, he was at school at made the inevitable card for mum. We would give these same cards to each other year after year – just adding the year to the list. This went on for several years and was great fun.